Experts in Selling and Leasing Commercial Real Estate! Visit www.commercialin-sites.com for details on current Investment, Office, Retail, Industrial and Land listings! 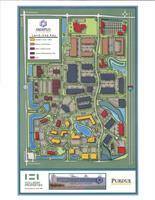 Contact us about AmeriPlex at the Crossroads, NWI's premier business park! Located on U.S. Highway 30, 1 mile west of the U.S. Highway 30/I-65 interchange.